Notes: Nationally scarce (Nb) on heathland, moorland and open woodland in southern England. In Hampshire very local amongst the foodplant in open woodland in the New Forest, Alice Holt and Pamber Forest. Not recorded from the Isle of Wight since 1981. Wingspan 17-19 mm. 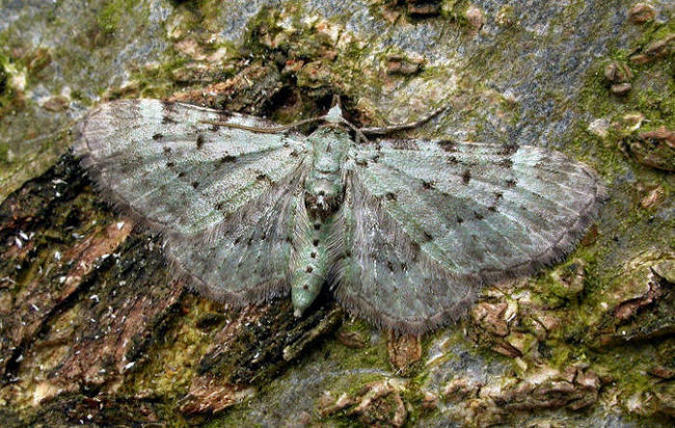 Fairly unmistakable, although could be confused with Green Pug P. rectangulata. Larva feeds on Bilberry, over-wintering as an egg.